Freshly painted 3 bedroom, 2.5 bath home on a POND in new river lakes! The kitchen is open to the dining area and features 42" Cabinets with Crown Molding, breakfast bar and lots of counter and cabinet space. The half bath is downstairs for convenience. Sliders lead to covered patio and a good sized POOL for those hot summer days- backing up to a POND - NO REAR NEIGHBORS! Head up the staircase to find all bedrooms and laundry room upstairs for convenience. Master Bedroom has as, walk-in closet, tray ceiling and a great view of the pond. Master bath features dual sinks, large shower and separate soaking tub. The other two bedrooms are down the hall. 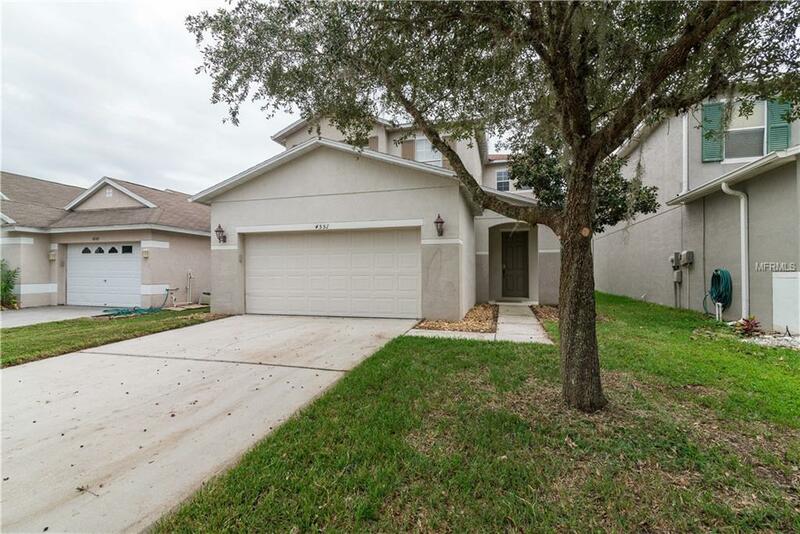 All of this in a fantastic Wesley Chapel location, close to major roadways for commuting, as well as lots of shopping, dining and entertainment options. New River Lakes Village community has great amenities such as a pool, tennis courts, basketball court, parks and playground. Don't miss the opportunity - Come see anytime!